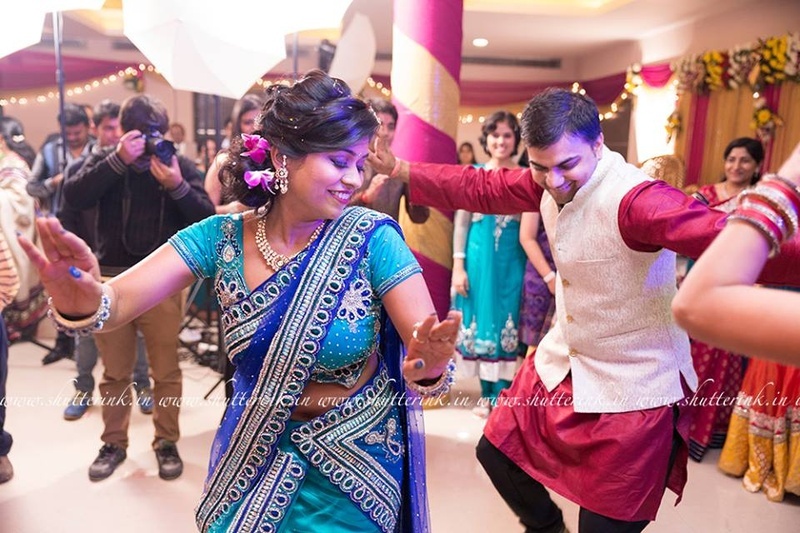 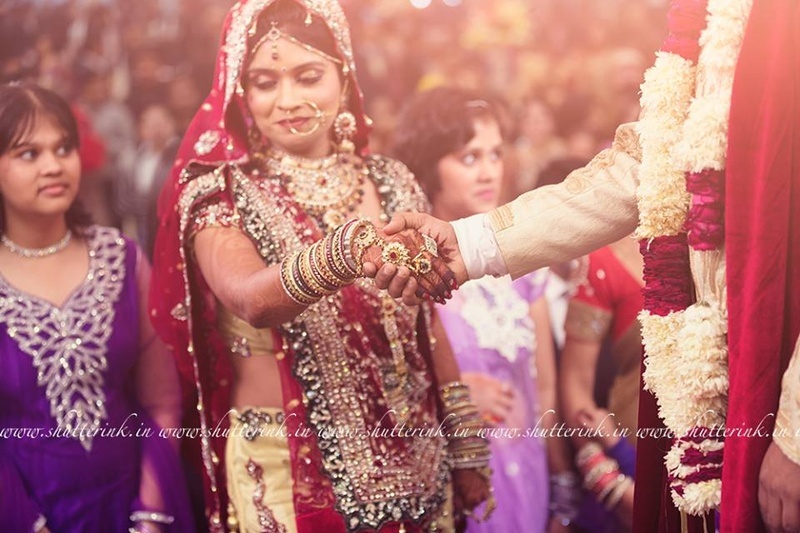 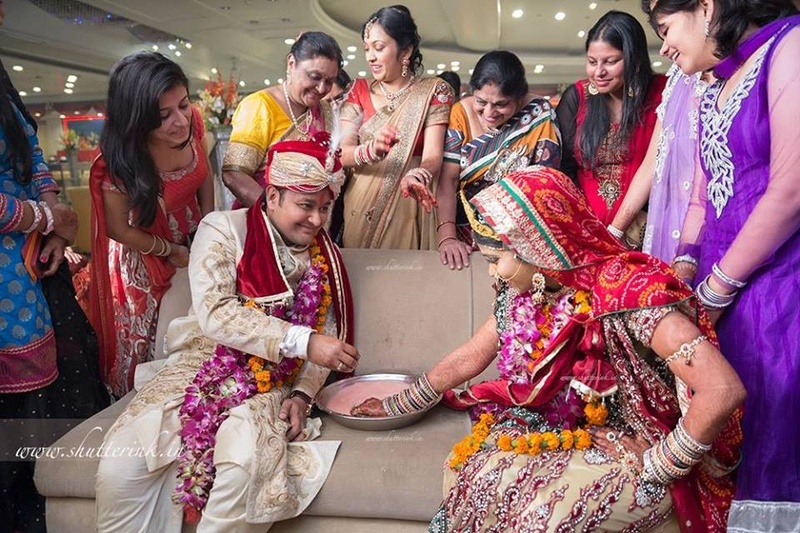 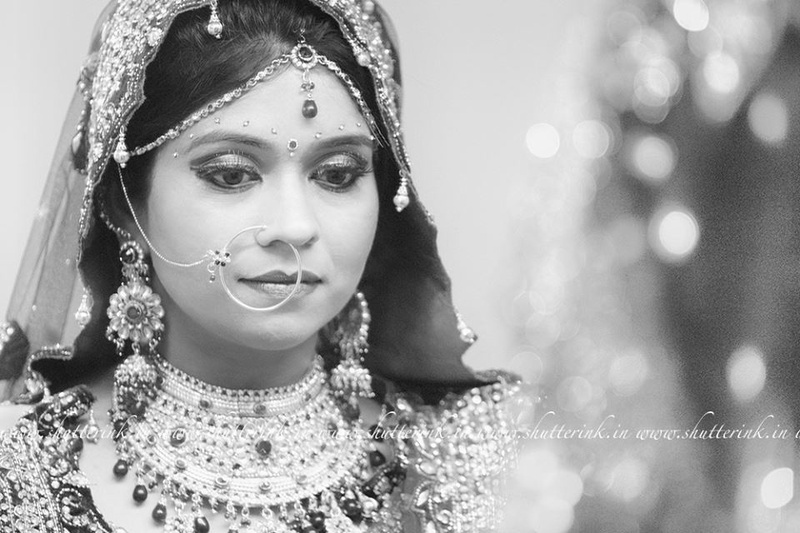 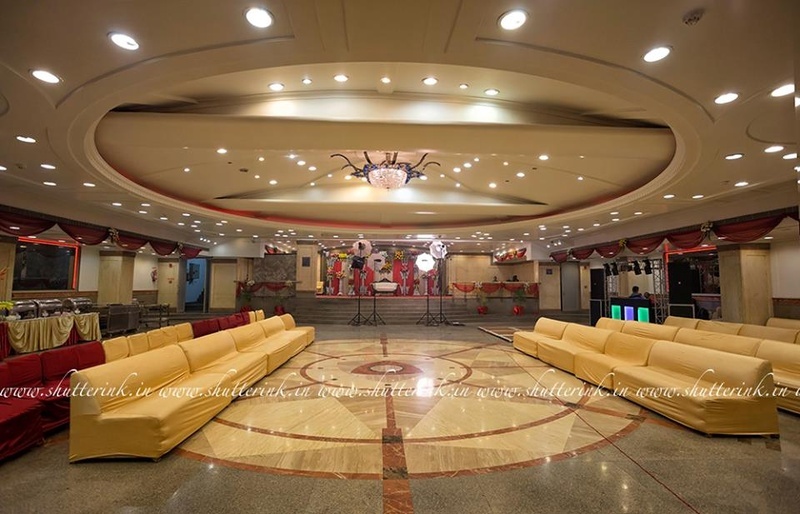 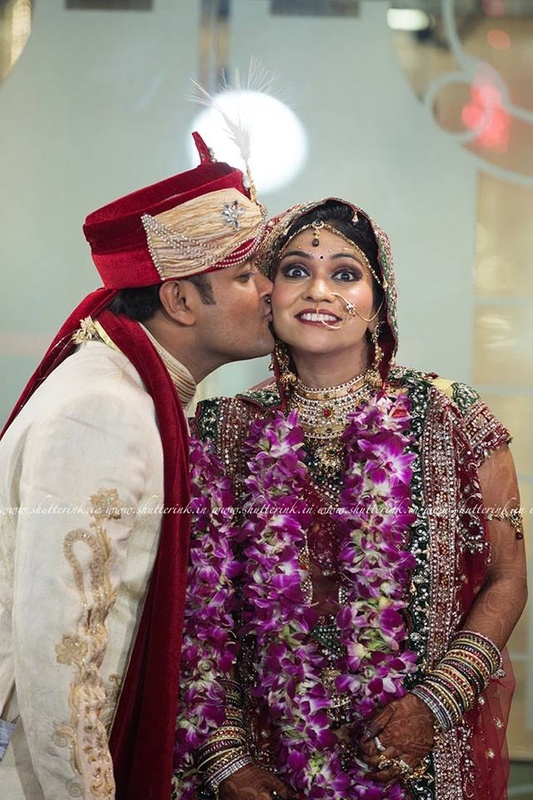 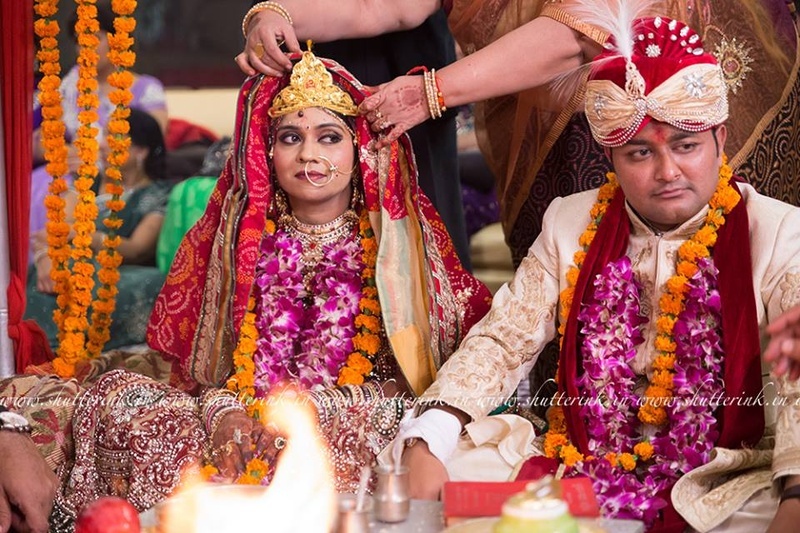 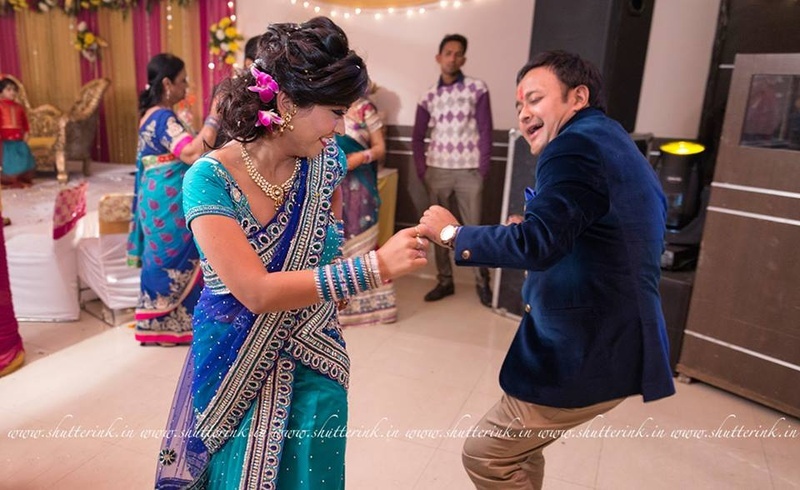 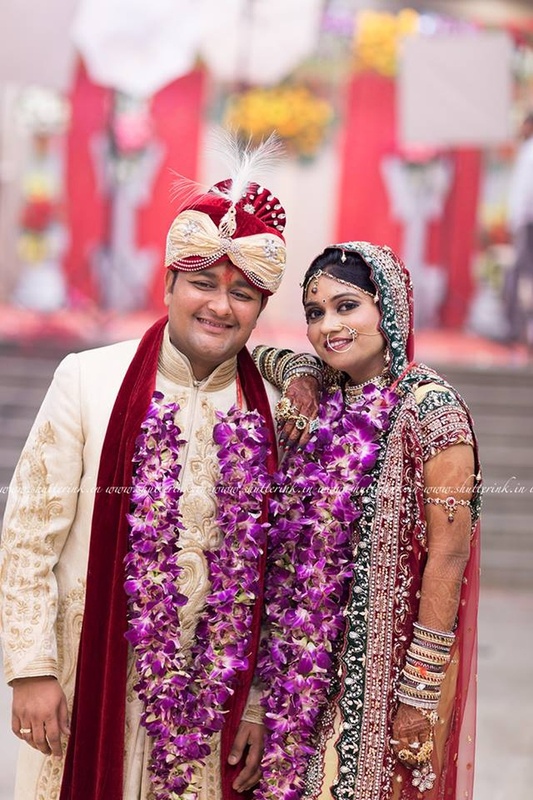 Nidhi and Ankit exchanged garlands in an elegant and classy wedding ceremony held inside a lavish banquet hall. 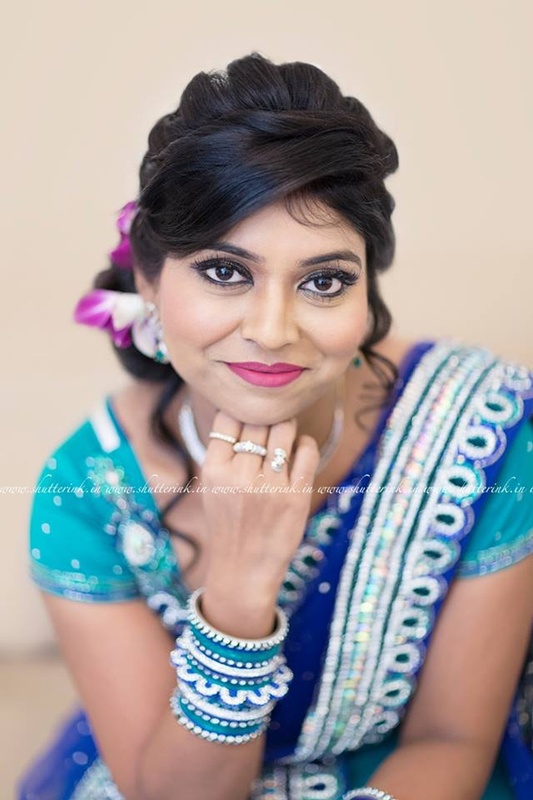 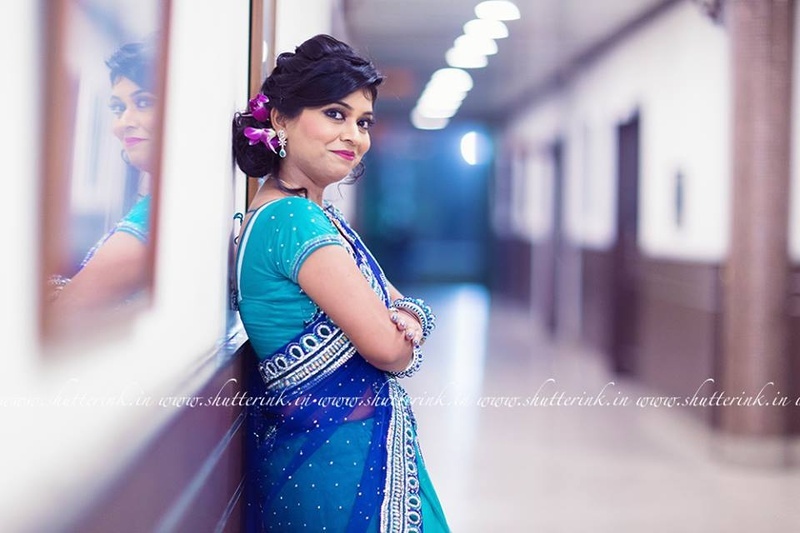 For the engagement ceremony, the bride was draped in a beautiful two-toned blue saree. 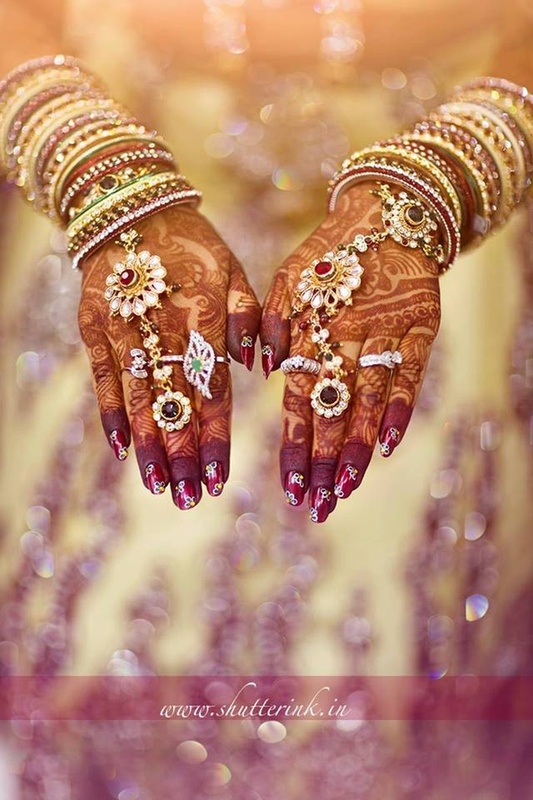 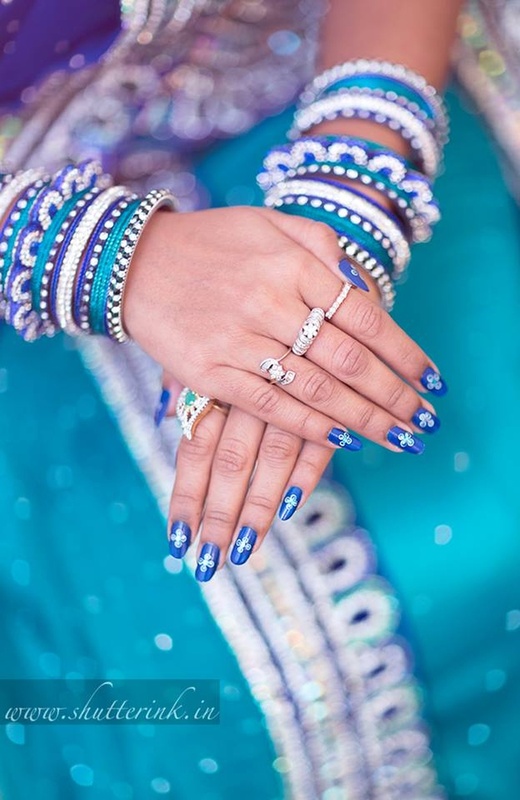 From her nail art to her bangles, every bridal accessory complimented her entire look perfectly. 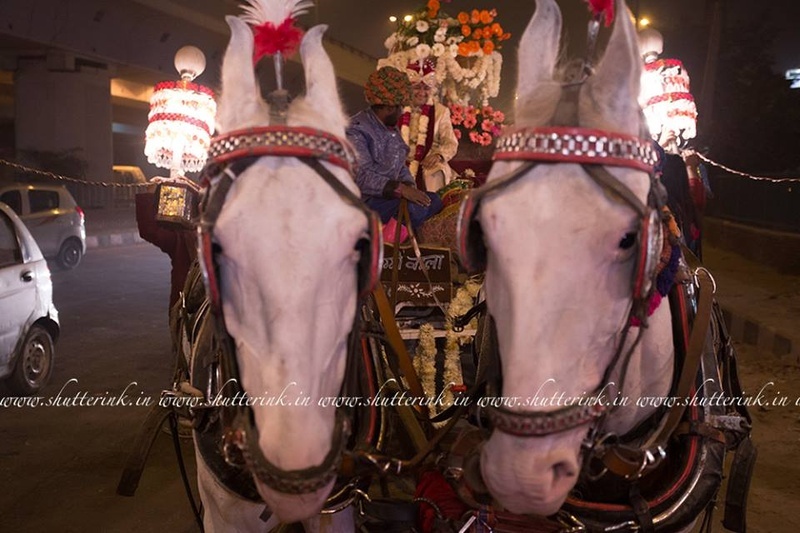 The banquet area, where this stunning couple exchanged rings, was illuminated with circular lighting and had stylish chandelier hung right in the center of the hall. 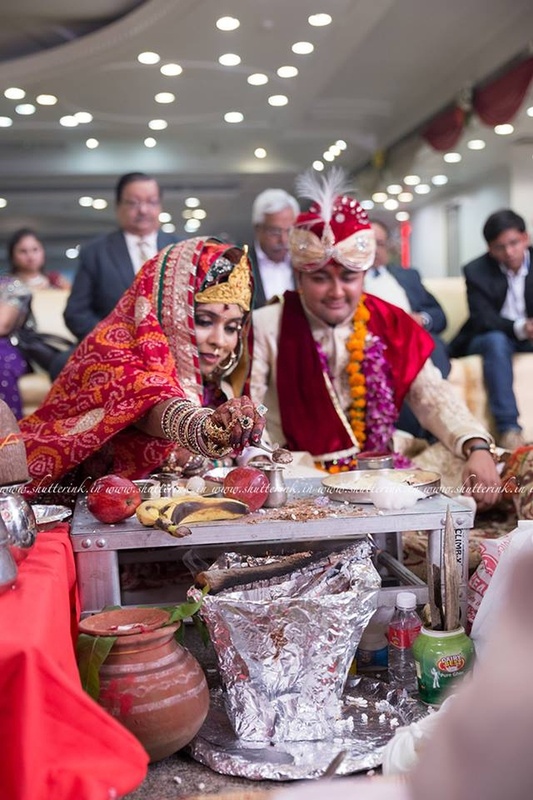 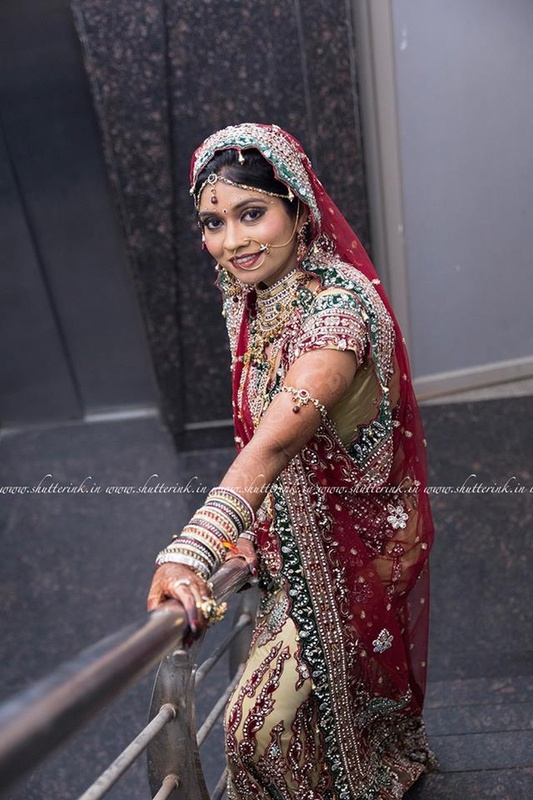 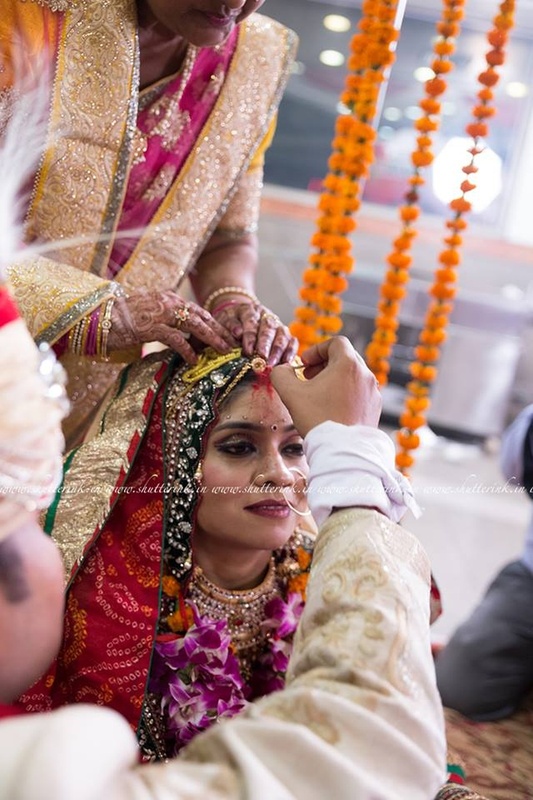 For the Varmala Ceremony, Nidhi wore a heavily embellished beige and red wedding lehenga and wore gorgeous bridal jewellery, that included a royal choker, a delicate nath and an exceptional haath phool. 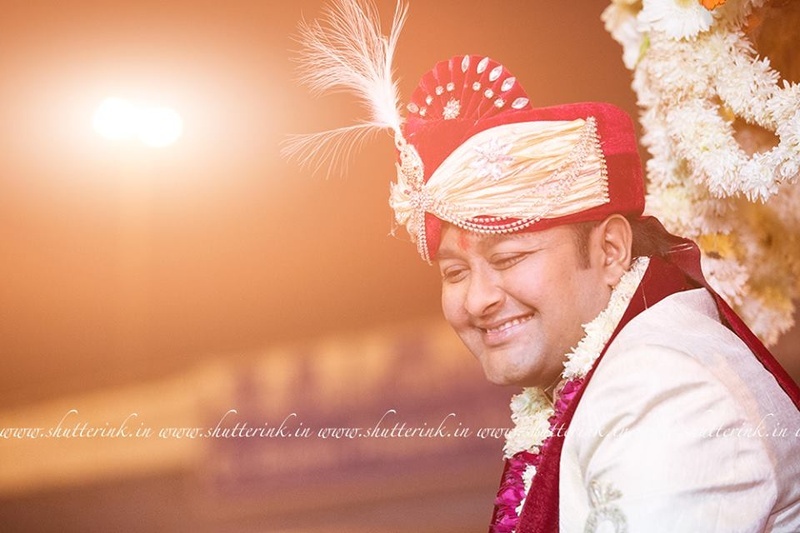 Ankit, the handsome groom, wore an off-white shervani with maroon accents.The velvet adornments on his dupatta and the wedding safa enhanced his entire look. 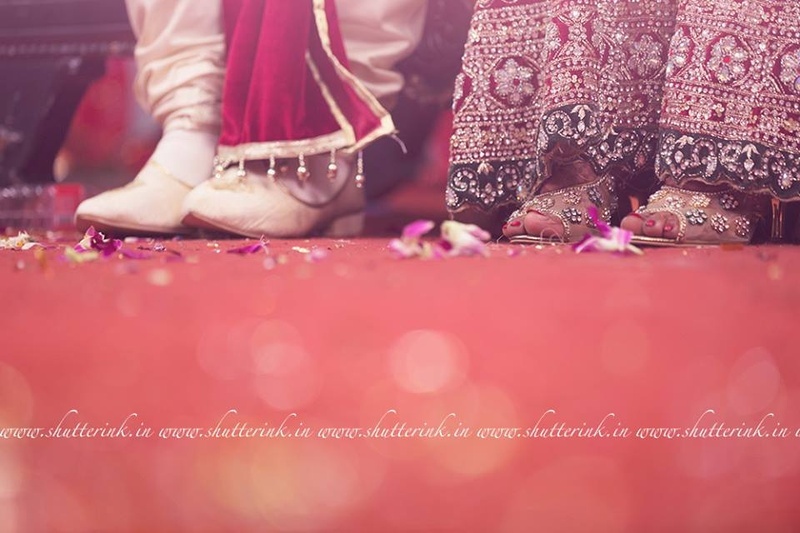 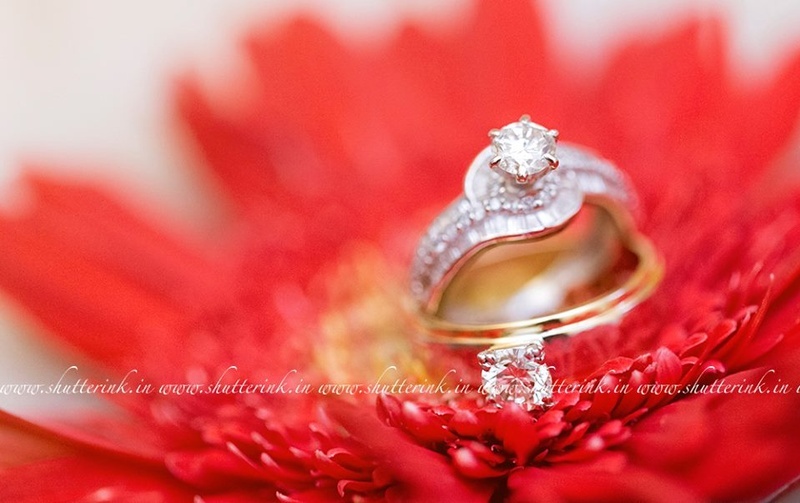 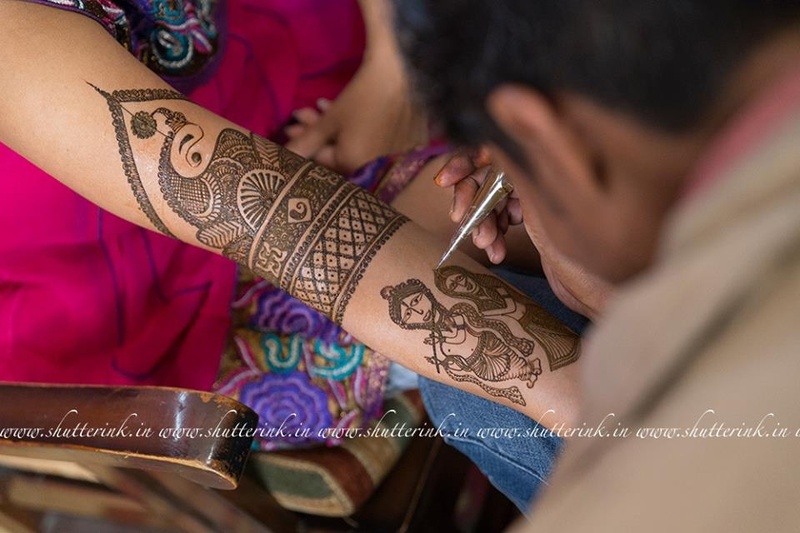 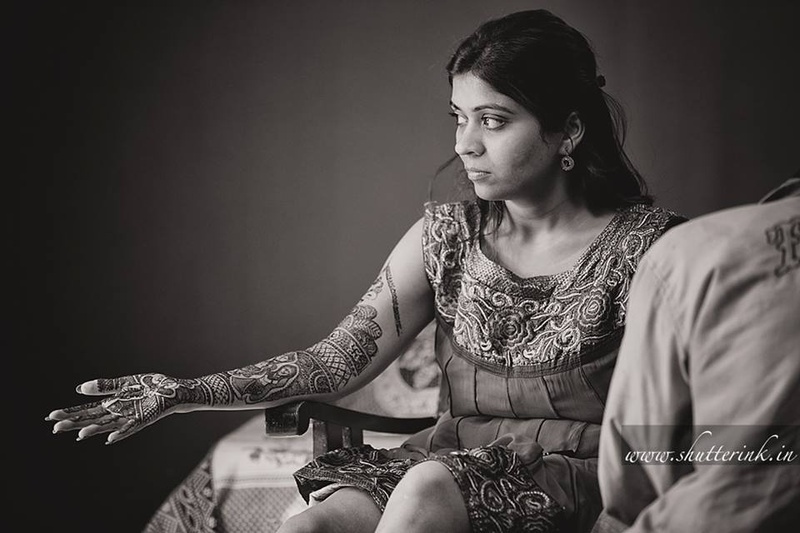 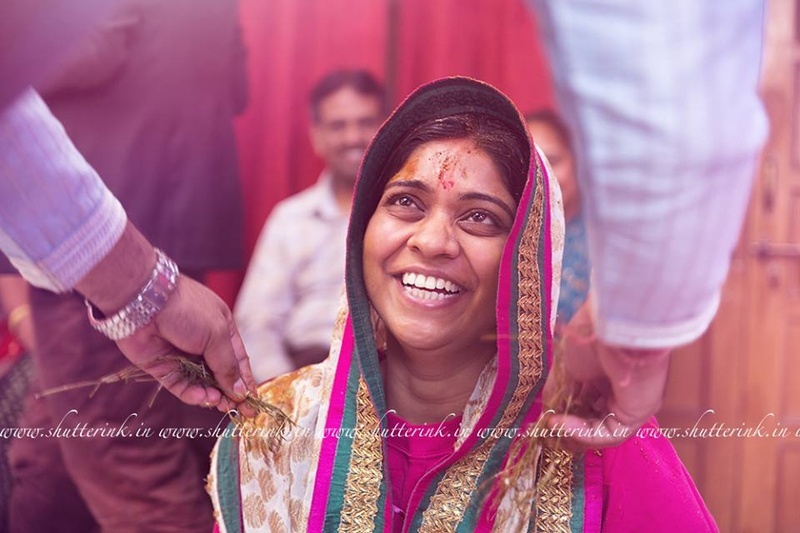 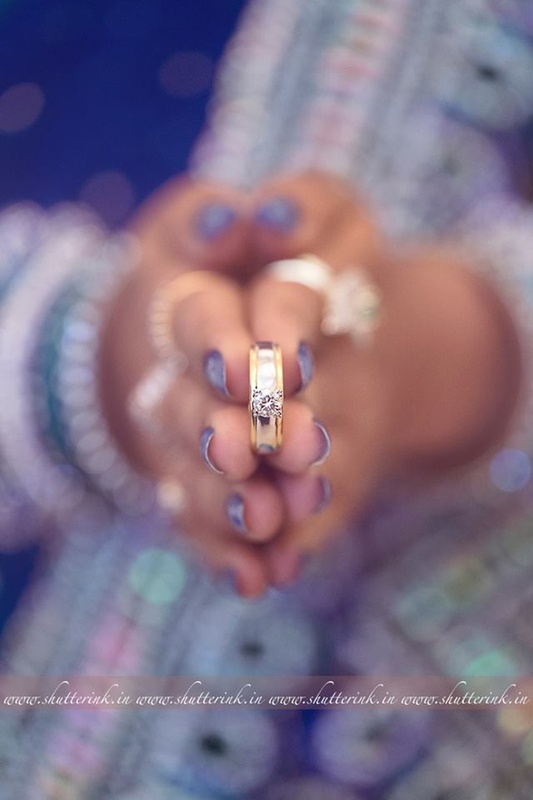 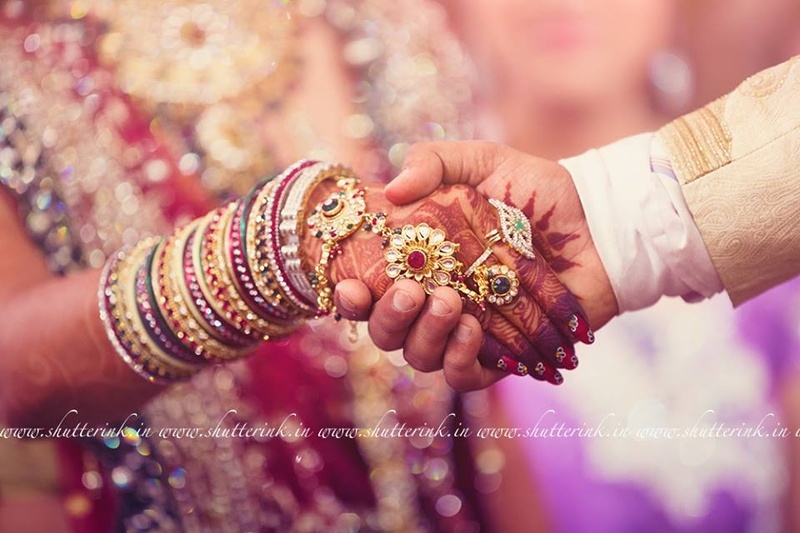 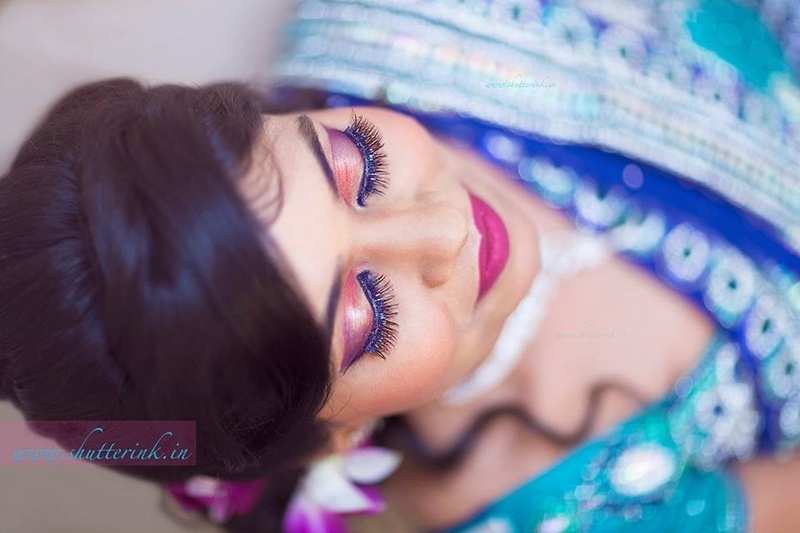 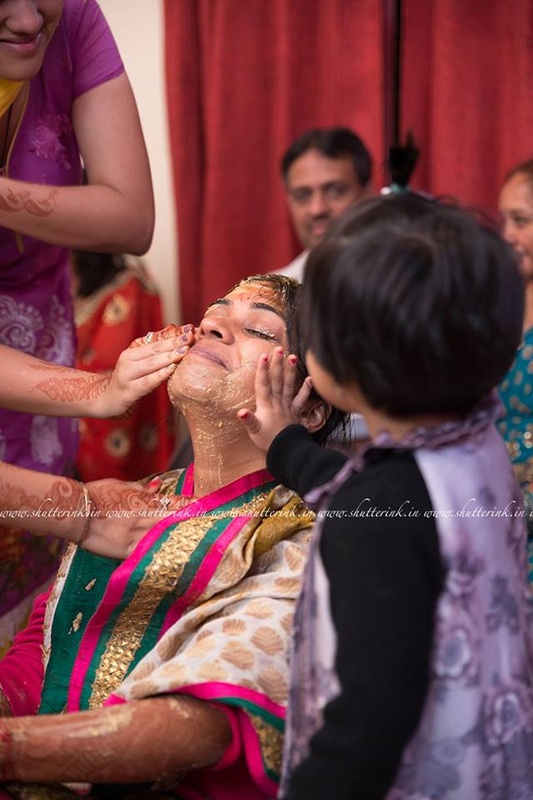 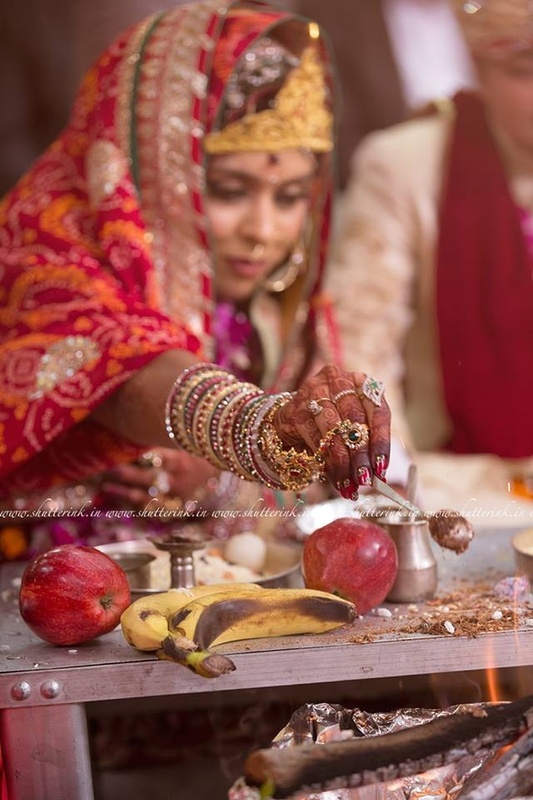 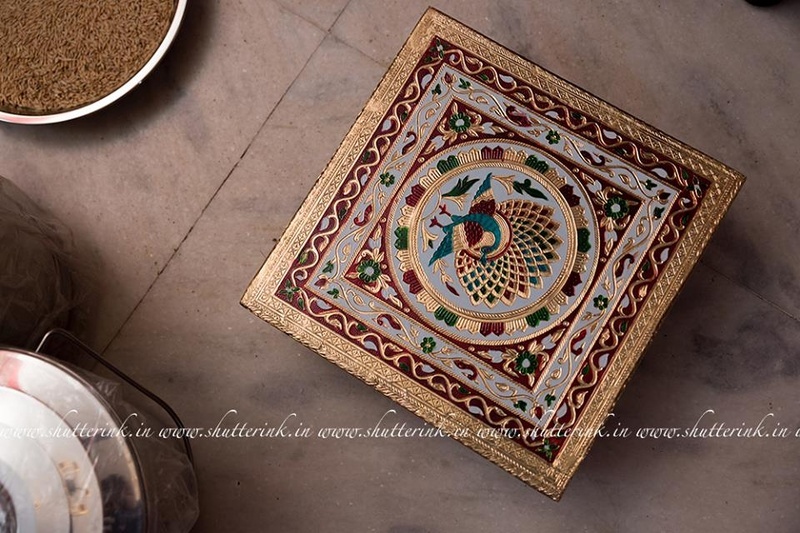 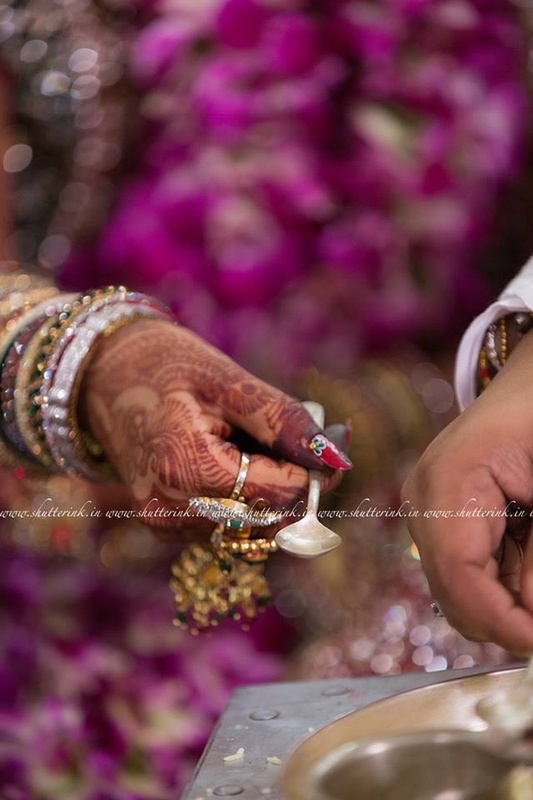 Whether it was the close-up of their engagement rings, the romantic poses of the bride and the groom, the mehendi imprints of Radha-Krishna or the playful ring-finding ceremony, Shutterink captured every image in the most creative way possible! 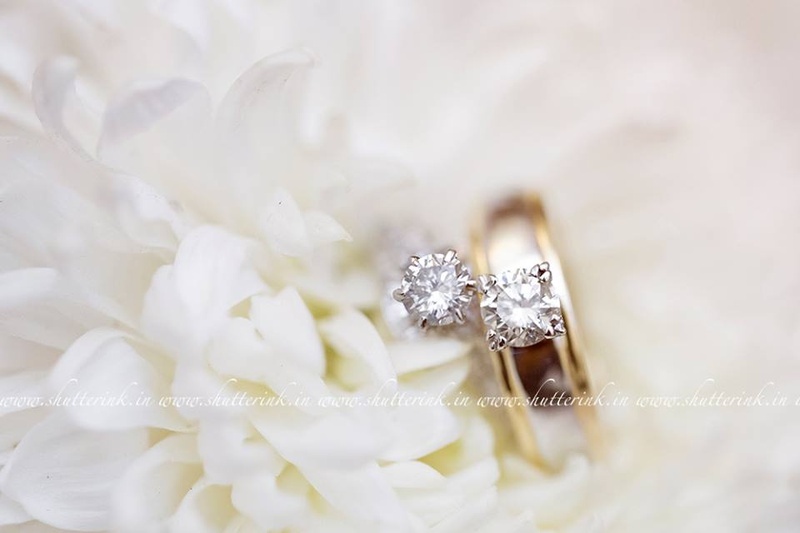 Are you excited to see their wedding photographs? 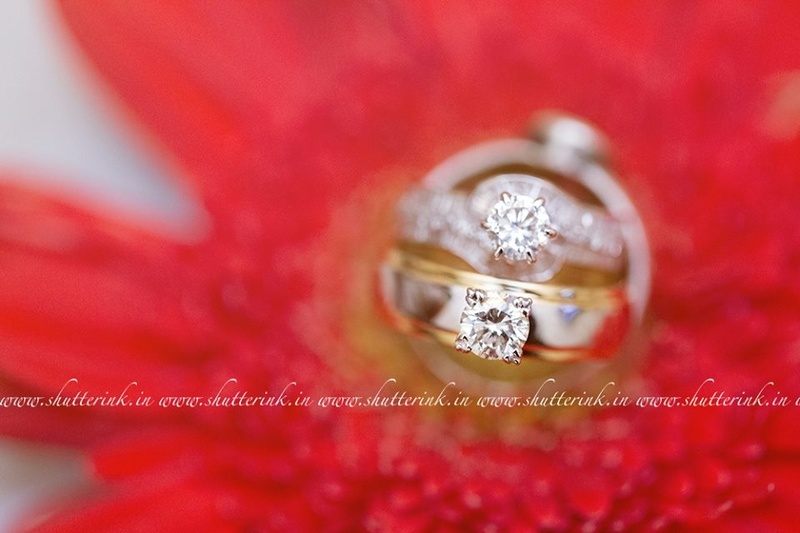 Scroll down right here! 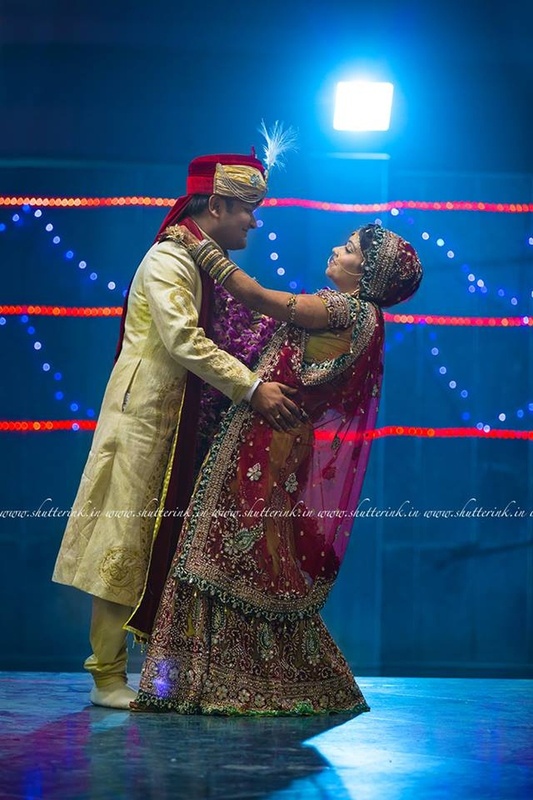 Wedding venue decorated in hues of gold and maroon, lit up by a crystal chandelier and white ceiling lights.